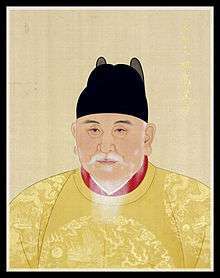 This is a family tree of Chinese emperors from the Mongol conquest of 1279 to end of the Qing dynasty in 1912. 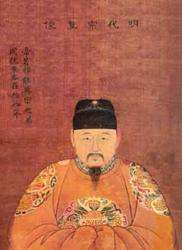 The following is the Yuan dynasty family tree. 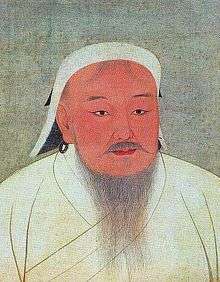 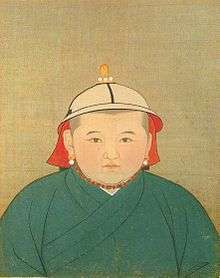 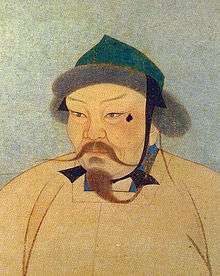 Genghis Khan founded the Mongol Empire in 1206. 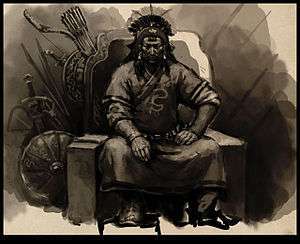 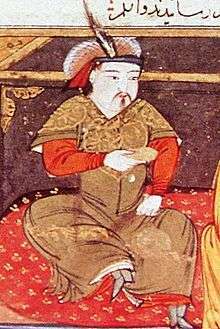 The empire became split beginning with the succession war of his grandsons Kublai Khan and Ariq Boke. 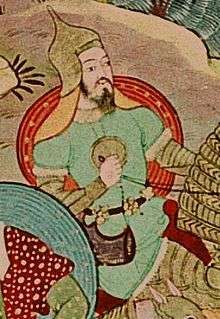 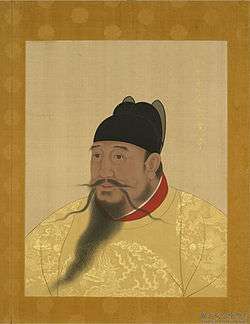 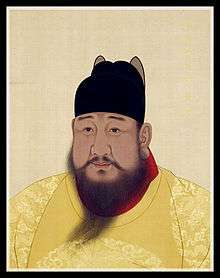 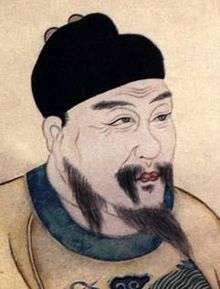 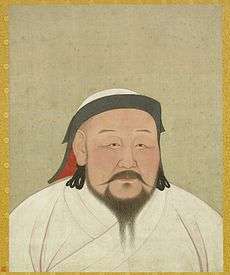 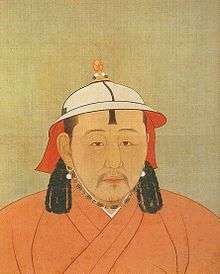 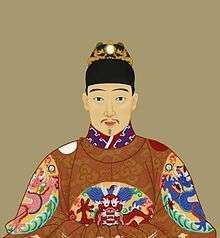 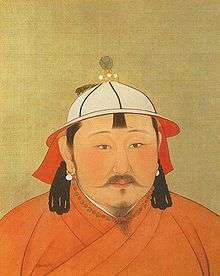 Kublai Khan, after defeating his younger brother Ariq Boke, founded the Yuan dynasty in China in 1271. 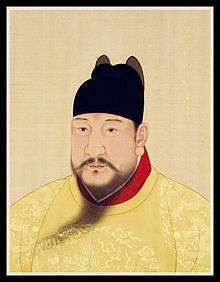 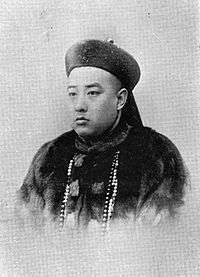 The dynasty was overthrown by the Ming dynasty during the reign of Toghun Temür in 1368, but it survived in Mongolia, known as the Northern Yuan dynasty; years of reign over the Northern Yuan dynasty (up to 1388) are given in brackets. 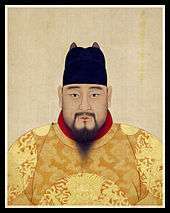 The following is a simplified family tree for the Ming dynasty, which ruled China between 1368 and 1644. 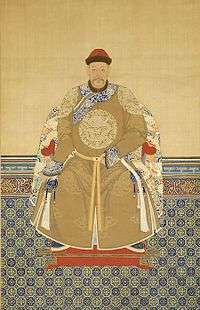 The following is a simplified family tree for the Qing dynasty, which ruled China between 1644 and the declaration of the Republic of China on January 1, 1912. 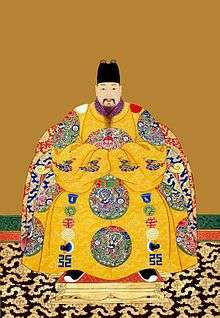 Those who became emperor of China are listed in bold, with their years of reign. 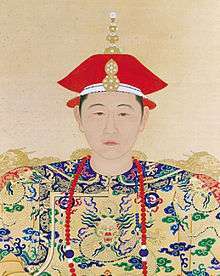 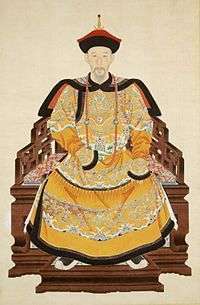 Nurhaci and Hong Taiji were emperors of the dynasty, which at the time dominated the Manchuria region, but were not emperors of China as a whole; their years of reign over the dynasty are therefore given in brackets. 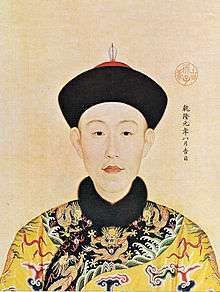 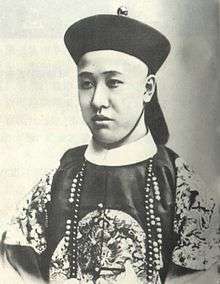 The names given for emperors are era names, the form by which Qing emperors were most commonly known (with the exception of Puyi, who ruled as the Xuantong Emperor, but was generally known by his given name after his deposition). 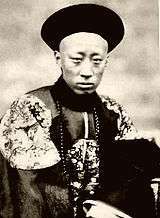 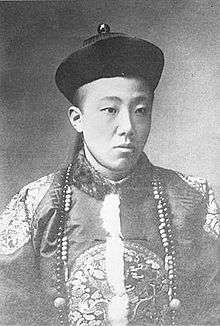 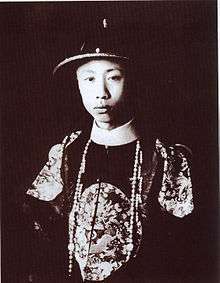 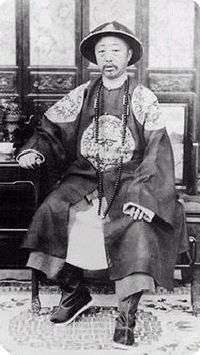 Puyi abdicated as head of state on February 12, 1912, but was permitted to retain his imperial titles until 1924. 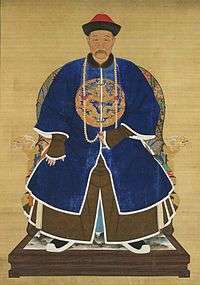 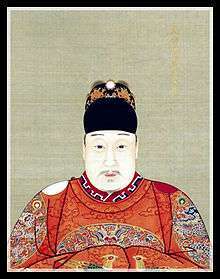 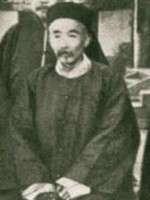 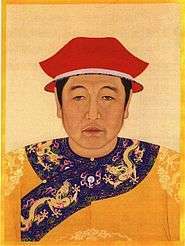 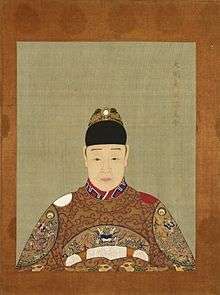 The imperial family's original Manchu clan name was Aisin Gioro (lit. 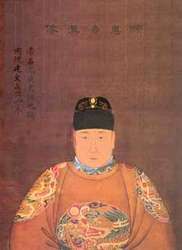 "golden clan"). 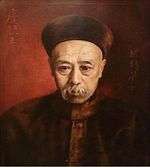 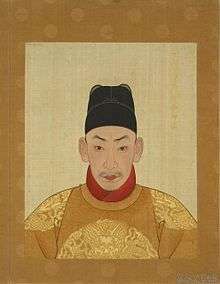 The dynasty was originally titled the Later Jin dynasty, in reference to its origins in the Jurchen-led Jin dynasty (1115–1234), by Nurhaci in 1616, but in 1636 Hong Taiji opted to replace this title with the Chinese dynastic title Qing (清), meaning "clear" or "pure".